Definition at line 579 of file filters.h. 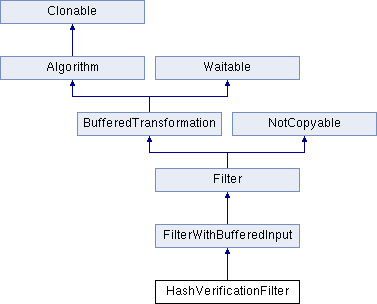 Indicates the hash should be passed to an attached transformation. Default flags using HASH_AT_BEGIN and PUT_RESULT. Definition at line 595 of file filters.h. Definition at line 888 of file filters.cpp. Definition at line 620 of file filters.h.